Almost Midnight is a 7 minute scripted television series, which kicked off on December 31, 2012, on ABC iView and is broadcast every at . The show is currently in its 1st season. ABC iView opted not to pick up Almost Midnight for Season 2. 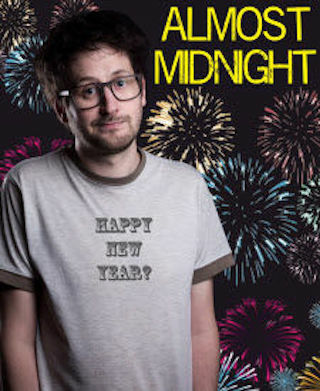 Almost Midnight officially canceled on ABC iView. Sign up to track down your favorite TV shows. Dave, a socially inept entomology student, stumbles his way through six New Year's Eve countdowns, over six years, doing his best to find love. When the clock strikes midnight will he get his wish?